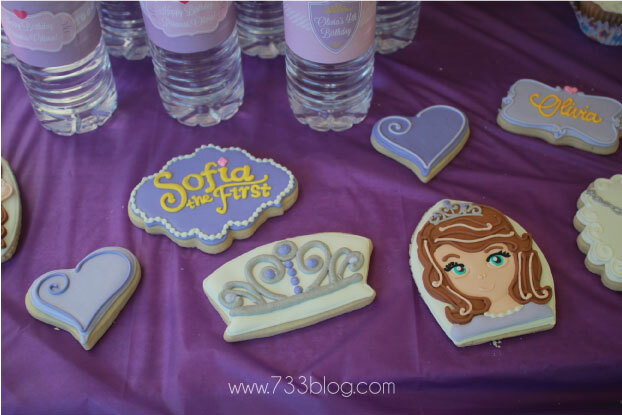 This past Saturday we celebrated Olivia’s 4th birthday with a Sofia the First Birthday Party. 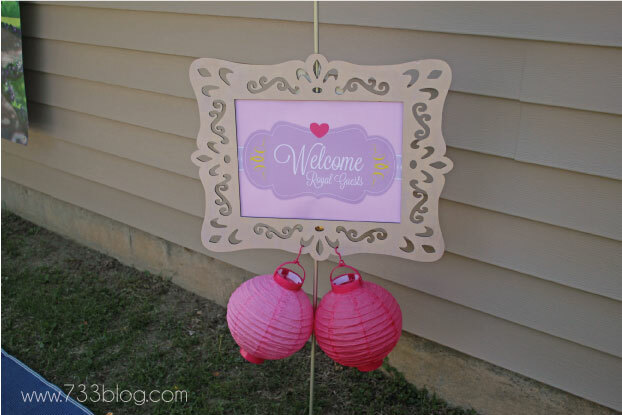 The weather was beautiful and cooperated with our plans to host the party outside. 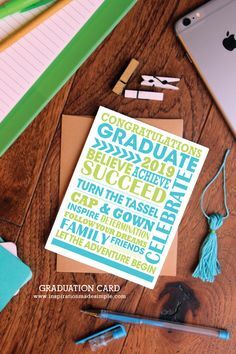 All available printables for this party are at the bottom of this post. 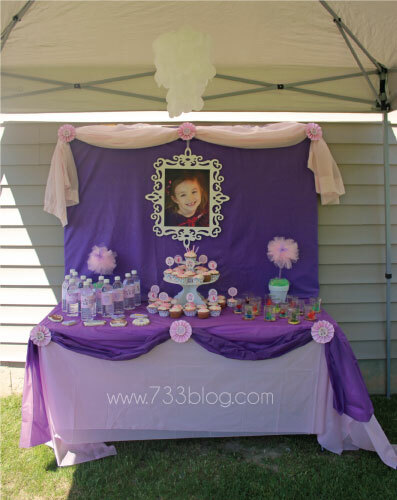 I put together a dessert table using tablecloths from the Dollar Store that I bustled with medallions I made out of my cupcake topper printables. I purchased two yards of purple fabric and covered a large piece of cardboard for the backdrop. The decorative frame is from Michaels and the pink sash is actually the sheer curtain from my daughters room. I hung one of the faux capiz shell chandeliers I made from the top of the tent. 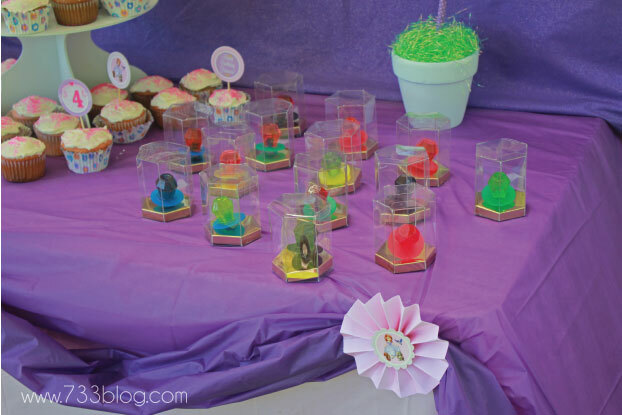 I made cupcakes and added ring pops to clear hexagon boxes as favors. I also laid out the cookies that were created by the amazing Icings by Ang. She ships throughout the US and can create any cookie you can imagine. They taste delicious and everyone commented on their intricacy. My daughter absolutely loved them. I cannot recommend her enough. Seriously, follow her on Facebook and you’ll be blown away at all of the designs. The topiaries and custom water bottles round off that table. 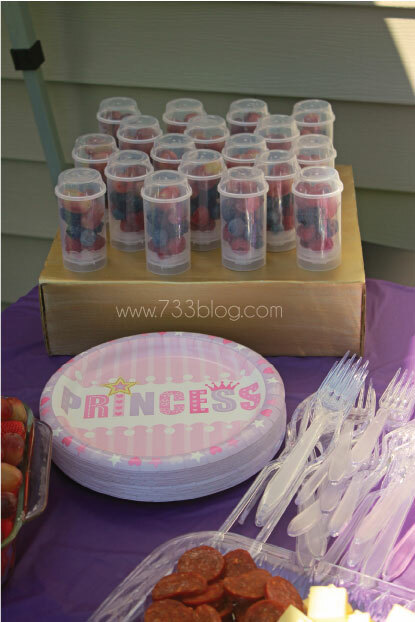 I served fruit salad and berry push pops, pretzels and cheese and crackers. We had ice tea since Princesses love a good tea party! 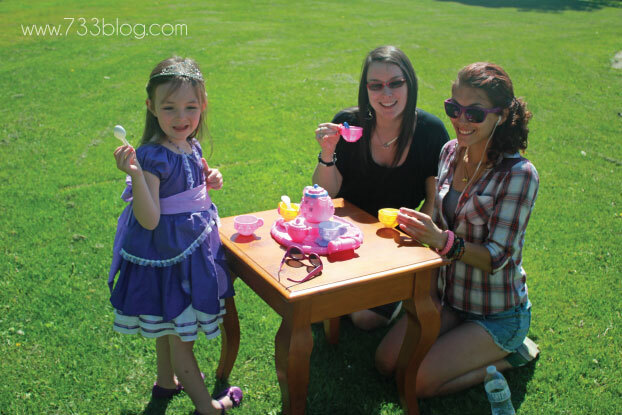 I actually brought out my daughters tea set and had that set up for the little (and big – what good aunts!) girls to use, which they did throughout the party. 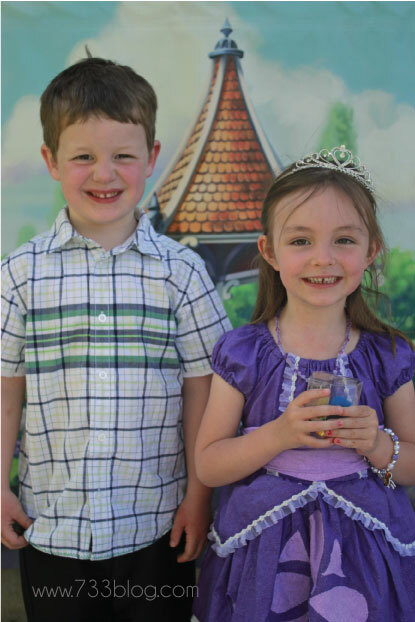 When guests arrived the boys had the chance to make a DIY Cardboard Shield and the girls made DIY Princess Wands. I didn’t get a shot of this since I was deep in the middle helping out! 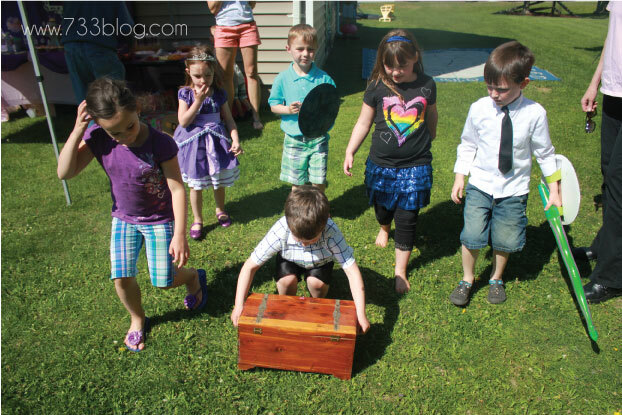 I also hid the key to a treasure chest in an Easter egg in the backyard. As guests arrived I let them know to keep an eye out for it because whoever found it would be the one to unlock the treasure for all the guests. 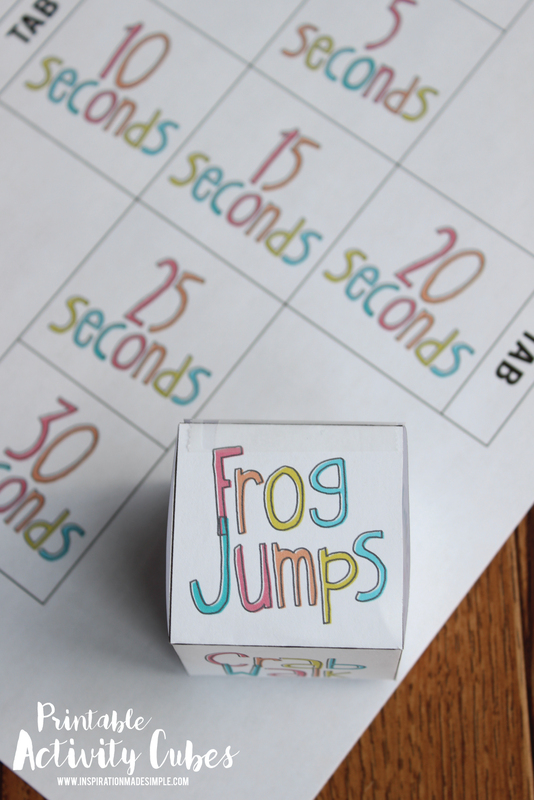 The boys got really into this! When my nephew found it all the kids came running and he was so proud that he got to unlock the chest. 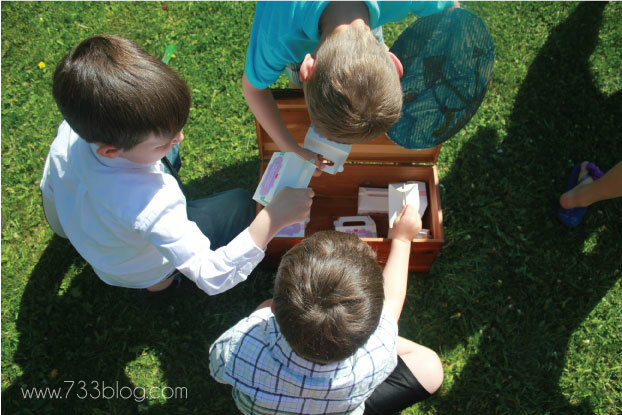 Inside they found custom labeled gable boxes stuffed with goodies including lollipops, candy necklaces, chocolate coins, inflatable swords for the boys and Sofia bracelets and necklaces for the girls from Stinky Pink Creations. The swords were immediately blown up, the shields were out on and lots of battles occurred! 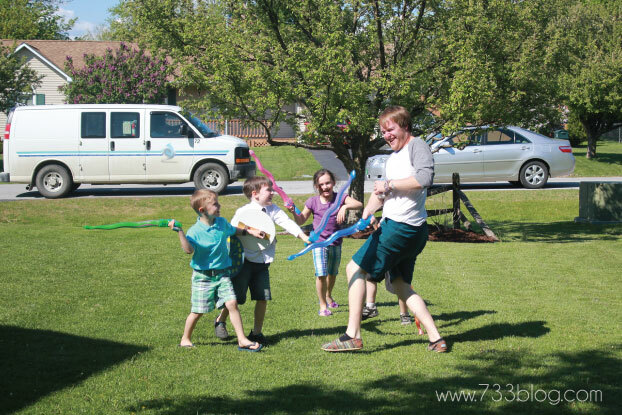 The rest of the time the kids played together, mostly sword fights, but also swinging, sliding and what not. 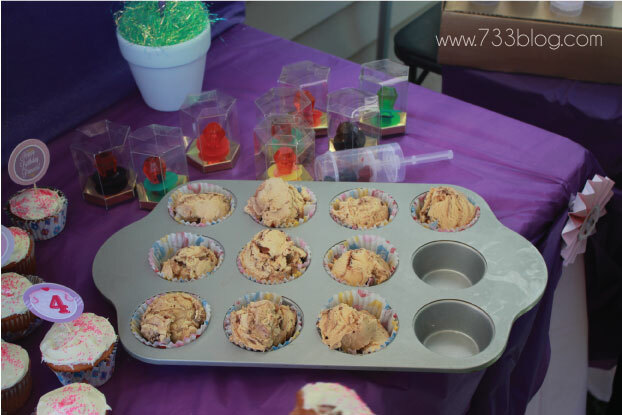 Of course we enjoyed cupcakes and ice cream (I did the scooping ahead of time and will never do it the other way again! So much easier!) and opening gifts as well. 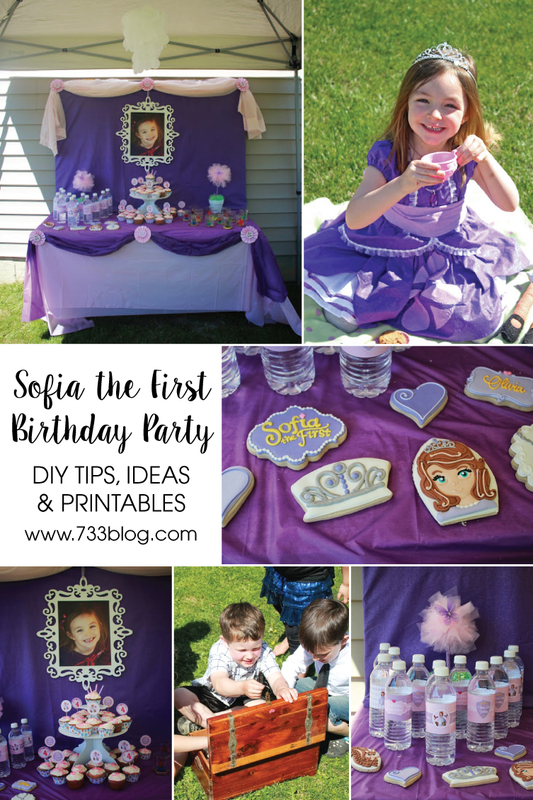 The star of the party was, of course, the birthday girl in her Sofia inspired dress designed for her by Willow Bean Studio. 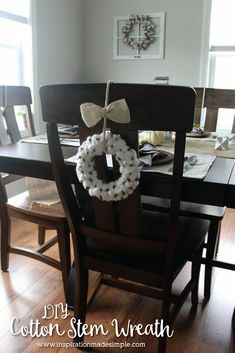 She received so many compliments on it and just beamed the whole party. 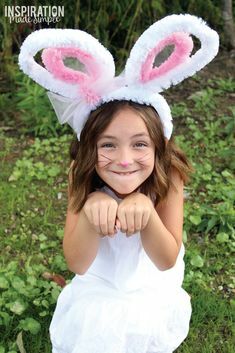 In fact she made everyone call her ‘Princess Sofia’! 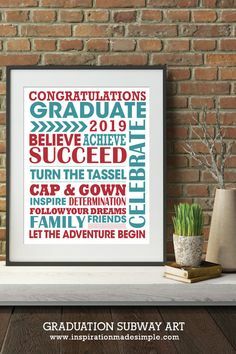 My daughter is so lucky to have such a large family, all of whom are loving and supportive. She really was made to feel so very special and I want to thank everyone again that came out to wish my baby a happy day! What lovely party and those cookies are so pretty. It looks like the birthday girl had a great day! So Cute! My daughter loves Sofia The First too. 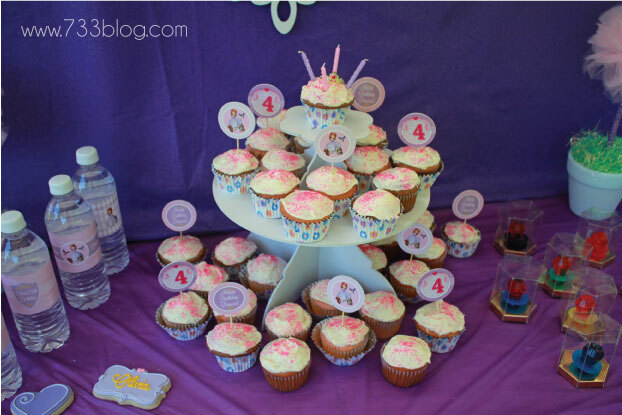 Very sweet party! 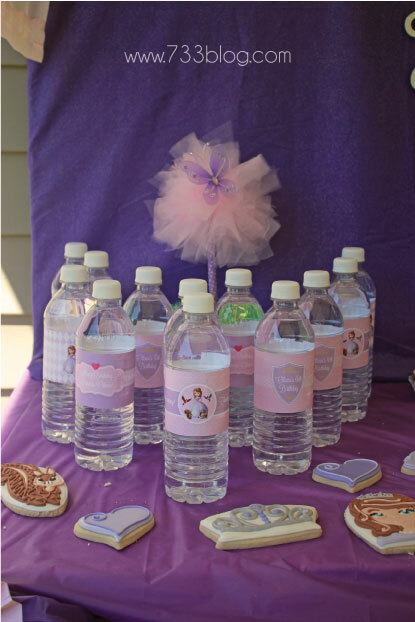 We are planning a Rapunzel party for our littlest girl. 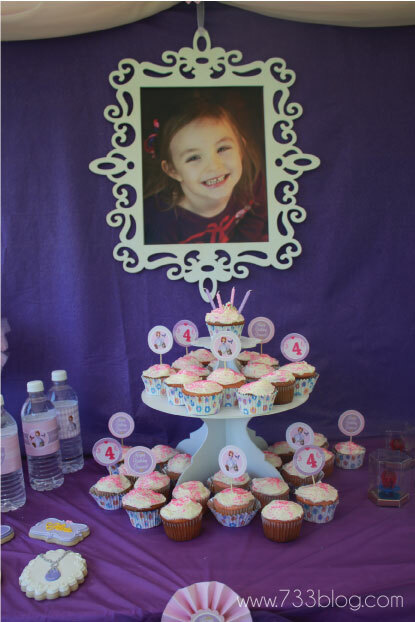 Thank you so much for the lovely Sofia printables and the amazing photos of Olivia’s party! 🙂 Your creativity is so inspiring! 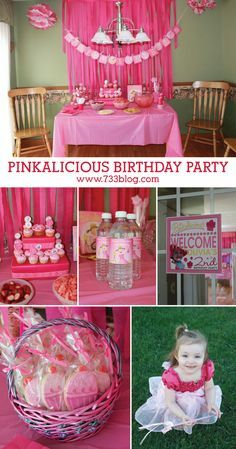 I certainly wish I can execute the same party plan for my baby’s birthday bash at her pre-school..
I’m so happy you’re able to put them to use! I would focus the color scheme on Prince James. You could still do the treasure hunt easily. 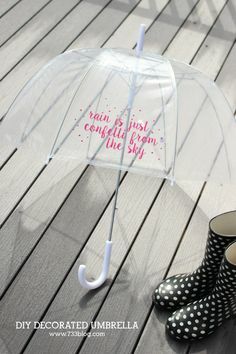 And make some instruments or shields (https://www.inspirationmadesimple.com/2013/04/simple-cardboard-knights-shield-for-kids/). I definitely think this is doable!